When The Baron told me he's not exactly a fan of fish, I knew that would be a slight challenge because I like fish... a lot! Thankfully, he's always been willing to try a dish despite his aversions. He didn't get to try this dish, but I'm pretty sure he doesn't mind. I served this salmon with shredded brussel sprouts with bacon and Parmesan garlic mashed potatoes. The sauce is super easy to put together and it really goes well with the salmon or any fish you happen to have on hand! Season salmon with salt and pepper. Drizzle oil over salmon and place on a baking sheet. bake in preheated oven for 10-12 minutes or until preferred firmness. Set aside; keep warm. 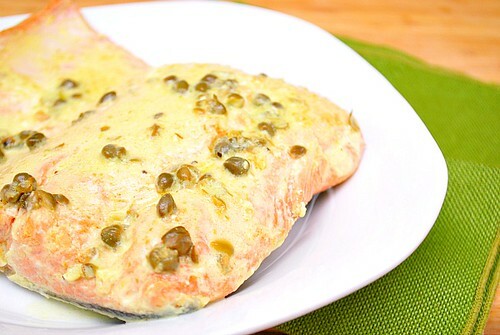 Add 1/8 teaspoon salt, 1/8 teaspoon pepper, vermouth, lemon juice, garlic and capers to a skillet. Cook until reduced to 1/4 cup (about 2 minutes). Take off heat and stir in butter. Spoon sauce over salmon. 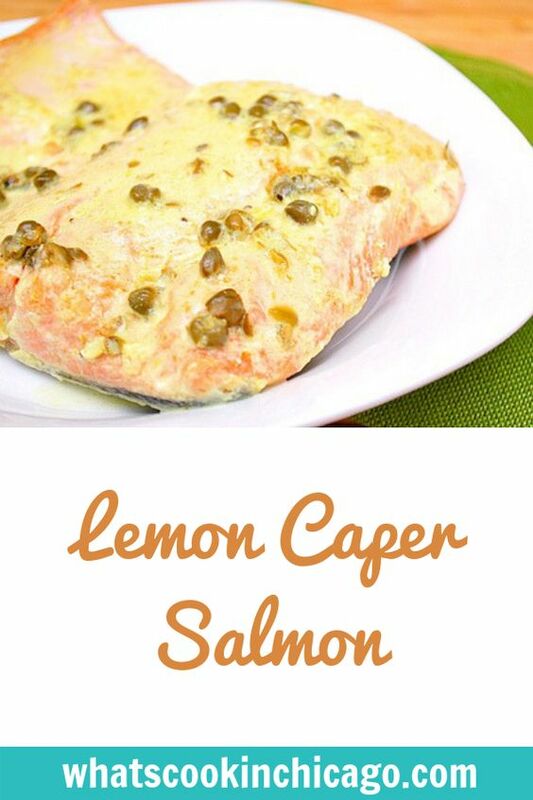 In my opinion, capers and salmon is a match made in heaven. They just go so well together! If it weren’t so late, and for the fact that I don’t have any salmon, I would go make this right now. Your photo is making my mouth water!